While some Canadian snowbirds drive south for the winter, many fly to and from their winter destinations, and for those of you wintering outside North America, flying is your only option. To help you save on airfare and find the best flight deals, our snowbird travel experts have offered up their top tips and strategies. Airlines typically allow you to book fares at least one year ahead of your departure date, so there’s no such thing as booking too soon. Yes, you can sometimes get sales closer to the time of your departure, but then you’re gambling that a sale will come up and there will still be availability when you want to travel. If you know when you want to travel, the sooner you book it the better to get the exact dates and flight times that you want. 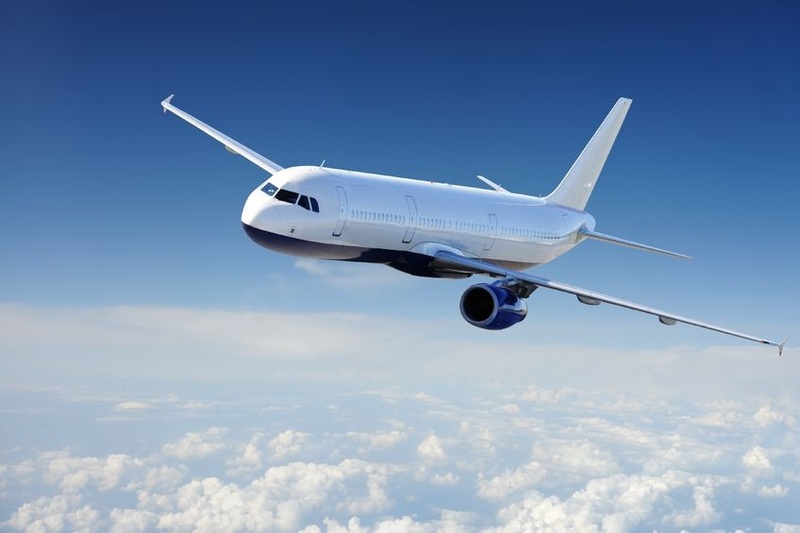 Generally speaking, airfares are often at their lowest on Tuesdays, and more likely in the afternoon or early evening, although there are many exceptions to this rule. This is because airlines assess the sold rates for each flight at the beginning of the week and put some lower fares in their system (with a limited number of seats) to stimulate flights that are lagging behind in sales. If a flight is already well sold, this rule will not apply. The end of the week and weekends are generally not the best times to book. Wednesdays are often “sale” days at airlines, but only for specific routes and dates they want to fill. There are apps that regularly search for the lowest fares for your route and travel dates that will send you alerts when fares change. However, the savings are usually not that great, perhaps up to $50 per seat. When flying to a popular snowbird destination, particularly in parts of the U.S. such as Florida, Palm Springs and Arizona, remember that rentals all turnover on the last day of the month for those departing and the first day of the month for those arriving. If you need to fly on those dates, book early! Generally speaking, Thursday, Friday, Saturday, Sunday and Monday are all popular days to fly and Tuesdays and Wednesdays are less popular. This can affect fares and availability. There are not a lot of deals to be had in the winter months, but you can sometimes find them in January and early February. March is peak season in most destinations due to school breaks. Also avoid holiday weekends and Easter. November and early December can also see some lower fares, other than around U.S. Thanksgiving and the Christmas holidays. However, Christmas Day and New Year’s Eve can be excellent days to find a less crowded flight with lower fares. There are literally millions of airfares published daily, varying by class of fare, restricted fares, time of day, the day of the week, the season, and most importantly, demand. Airlines today have very sophisticated systems that keep track of how well each flight is sold, and the fewer empty seats they have on each flight, the higher the fares will be. The most restricted tickets offer the cheapest airfares – which means that while you’ll save on your base fare, you’ll have to pay extra for your checked baggage and seat selection. You’ll also pay more for changes and cancellations, and may not be able to cancel or change at all. Unrestricted fares always cost more, but you can make changes more easily and seat selection is included, and sometimes baggage too. Be sure you check the restrictions on the fare you are booking. If your dates might change, either wait until you are certain or book a fare that allows changes. You should also consider buying cancellation insurance in the event of an illness or a family emergency. If your departure city or destination has multiple airports that aren’t too far away, explore flying and arriving at different airports. You’d be surprised how much fares can vary. Some airports have more flights and more airlines than others, which creates competition and keeps fares lower. Consider using one of these airports and driving a little further to get to your destination. Most airlines, online travel agencies and travel agents offer airfare sales, deals and discount codes. So sign up for sale alerts from airlines you want to fly on, as well as offers from online travel agencies and travel agents you are interested in booking with. Make sure you’re selective about what you sign up for, as you’ll only want to receive offers that are most relevant for your departure and destination cities to avoid being inundated with emails. You’ll also want to visit their websites frequently to stay on top of offers, as some come out on a regularly scheduled basis (ie. a specific day every week), while others are made available more sporadically. For airlines that publish offers on the same day every week, you’ll want to find out what that day is so you can visit their site and spot any deals that are relevant to you before they sell out. When it comes to where to book your flight, you basically have three options: airlines, online travel agencies and travel agents. The reality is that you never know which one will be able to offer you the lowest airfare, so your best bet is to check multiple sources. When you find a fare your interested in booking, do one last quick check with your other sources to make sure they can’t beat it. Directly with Airlines: If you know which airline you want to fly with (or there’s only one airline that serves the route you are taking) then you want to sign up for sale alerts and check their website regularly. Generally speaking, on a route where there’s no competition, you won’t get many sales, if any, so it is best to book early as soon as you know your travel dates. Online Travel Agencies: There are many online travel agencies (OTAs) who offer most flights and airlines on their websites. Sometimes their fares are even cheaper than those on the airline website, sometimes they are more expensive, so be sure to compare. There are also sites that compare various airlines for the route you are requesting. Again, be sure to compare with the airline’s own site and also with other OTAs. Find a Good Travel Agent: If all of the above sounds like a lot of work, you should consider finding a good travel agent who will do all of that work for you. Travel agents sometimes have access to air fares that consumers do not, so if you can find a travel agent who will pass along that discount to you, you can even save a little on your flights. The other advantage of using a travel agent is that you have someone to assist you if anything goes wrong or if there’s an emergency and you have to change your plans. If you have booked online, you are more or less on your own to get through to the airline or OTA for assistance. Make sure you’re certain of your travel dates, as it can be costly to change your mind when booking with points. If your flight is an inexpensive one, you might want to save those points for a more expensive trip to Europe or Asia. Some airline loyalty plans only have a certain number of seats per flight that can be booked on points, and they tend to go quickly. If your points plan is structured like this, you’ll need to book early or take the risk that the seats won’t be available. All things being equal, try to book from sources that give you bonus points for booking with them that you can use for future travel. For example, some airlines give you bonus points if you book directly through them that you wouldn’t get for booking the exact same flight at the exact same price with on online travel agency.